Let us consider the tax implications when the cash received is classified as "small". 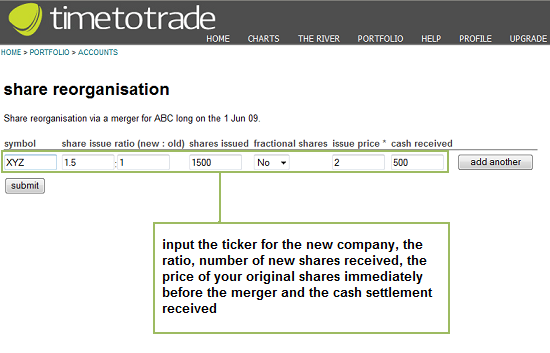 Company ABC plc is merged with Company XYZ plc. 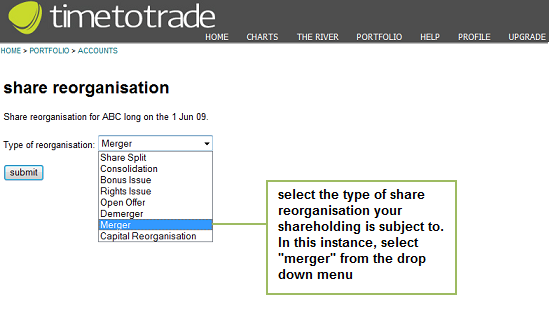 Under the terms of the merger for every share you hold in Company ABC plc you receive 1.5 ordinary shares in Company XYZ plc and 50p in cash. 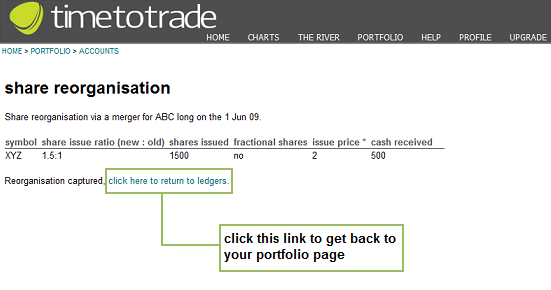 And let us say that the price of ABC plc shares on the day before the merger is 200p. This is less than £3,000 and so the cash settlement can be classed as "small". 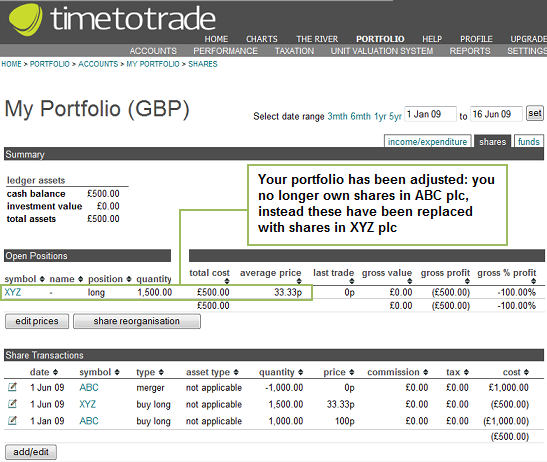 Fractional Shares = in this example no fractional shares were received. If you did receive fractional shares, change the field to "yes"
Cash Received = This is the amount of the cash settlement. 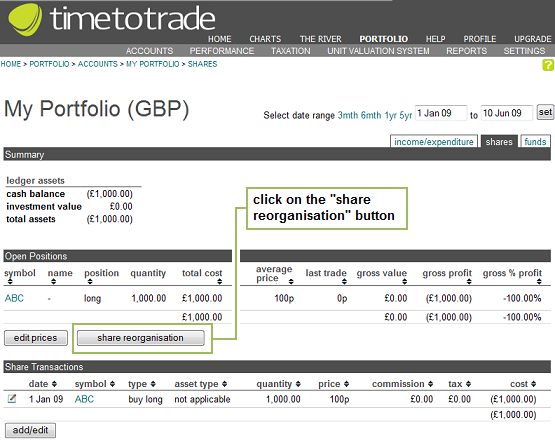 In this example, we received £500 so input 500.